Now that Cooper is old enough to try purees, I’ll be posting some of the different foods he’s going to be trying. We were given the OK to start solid food at his 4 month old check up, but we decided to wait a couple weeks. I wanted to make sure he was ready – watching us eat and smacking his lips were the two big indicators we were ready to give it a shot. I bought a couple small butternut squash when we went to the pumpkin patch. 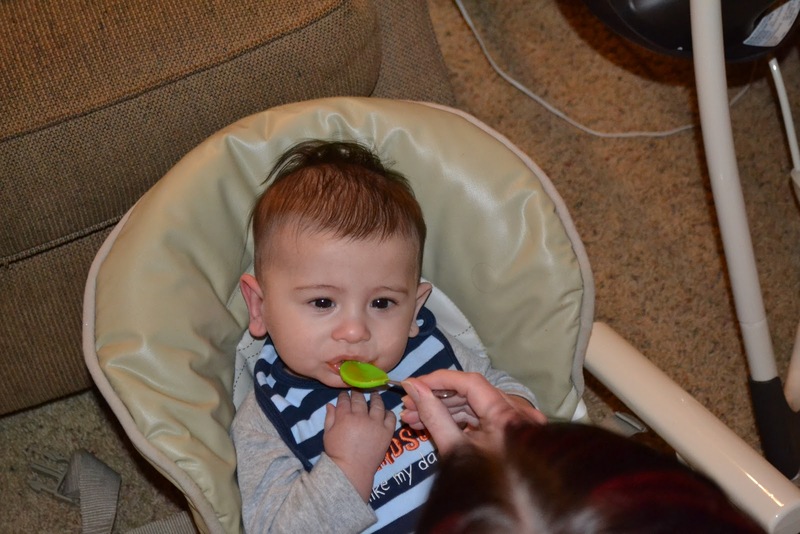 It’s so easy to make baby food and you get so much more for your money too! I did the same thing with Madeline and knew this time around I’d do the same. I wish I would have started this summer when the fruits and vegetables were fresher but I’ll make do with what I have now. To make the squash, first cut the squash in half and remove the seeds and stringy insides. Preheat oven to 350 degrees. In a glass baking dish, lay the squash cut side down and pour 1/2 cup or so of water into the baking dish. The water will create steam while it’s baking. Bake for 20 to 30 minutes or more depending on the size of the squash. Mine were tiny, so it took about 25 minutes. Let the squash cool enough to handle. Scoop out the insides and place into a food processor. Puree until smooth. If the consistency is too thick, add 1 tablespoon of water at a time. I find that squash has enough water content that I usually don’t need to add any extra water. Freeze in 1 oz cubes, I use an ice cube tray. To see more pictures of Cooper and Madeline, check out our family blog – Silly Goose Adventures! 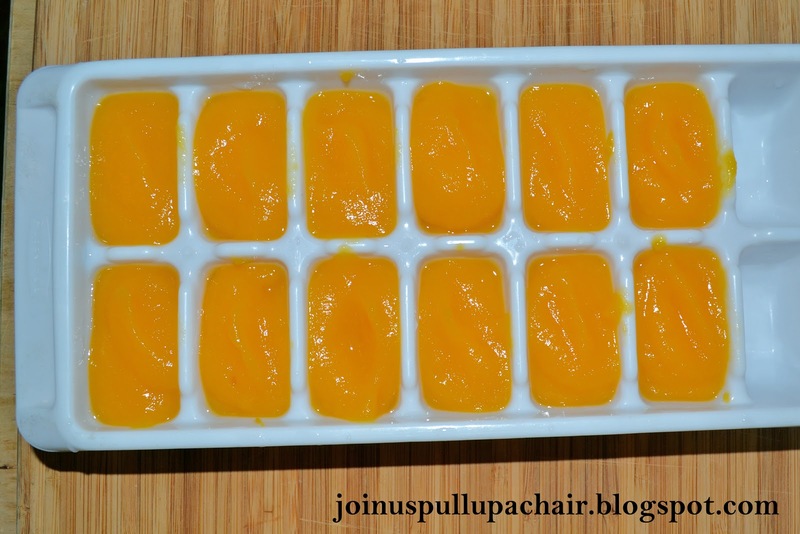 Heather, I just made baby food for SRC, inspired by you! I enjoyed your blog–and particularly thought it was funny that we have so many similar recipes posted! Thanks for sharing!